I don’t know about you, but I find myself rushed in the morning. (You do too? Good. Glad I’m not alone…) I am definitely a breakfast person too. I don’t understand these people who say that they don’t eat breakfast. If I don’t eat breakfast, I am a total bear. (Or other things that might start with a B) I get “hangry” if I don’t eat, but there isn’t always time for that. I pick up these Nature Valley Granola Vars for HH all the time. He keeps them in his office for a good snack. I try to keep him stocked up with a few boxes. They go on sale a lot and I just make sure to pick up several boxes when they do. (Click here to check out some great deals and ideas.) 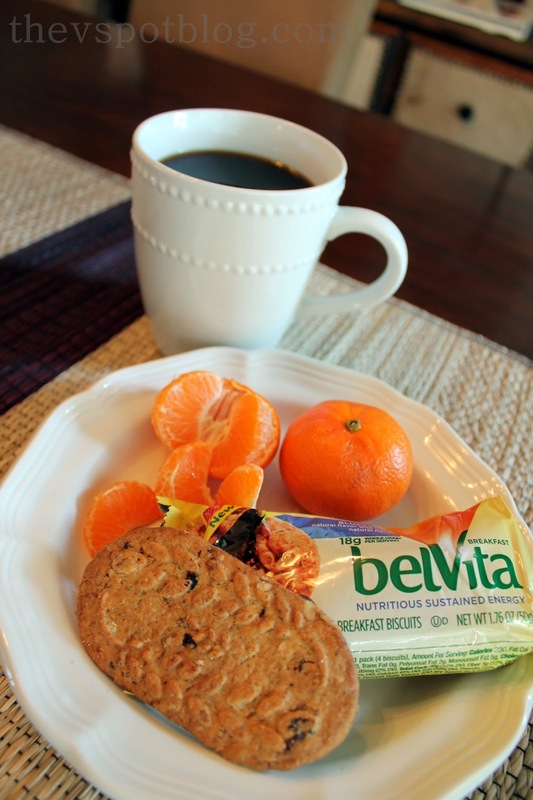 The kids like them for their lunches, but they are also great to have them grab and eat on the way to school. I feel like they are getting some fuel for their brains. 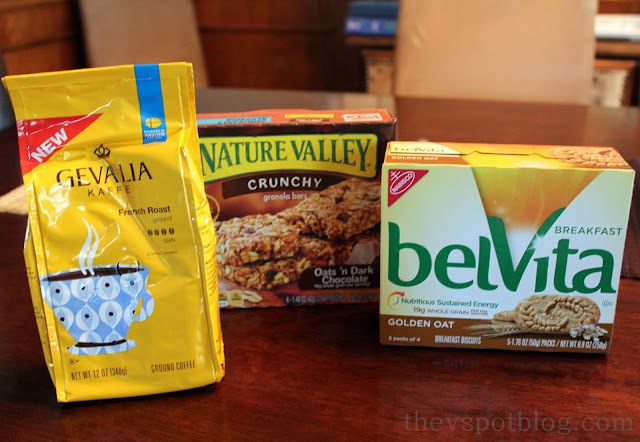 One of the new things I tried (that I am in LOVE with) are these Belvita breakfast biscuits. Oh My Gosh. So good! And they keep me really full. Check this out! Low calorie, super filling, protein and fiber. Good stuff. I usually have one of my green smoothies at the ready in the fridge, but if I can grab one of them and then have a pack of these biscuits to go with it, I feel like I can have a really good breakfast and it will hold me until lunch. They are great in the car too. Maybe everyone else has already heard of these and I am the last to know. (Wouldn’t be the first time.) These are just so good! They are great for a breakfast on the go, but I love them as a mid-day snack too. By the way, coffee is just as important as a good breakfast. Have you tried the Gevalia Kaffe? I like a deep roast coffee, so I tried the French and the Espresso Roasts. So good! Life is too short to drink sub-par coffee. 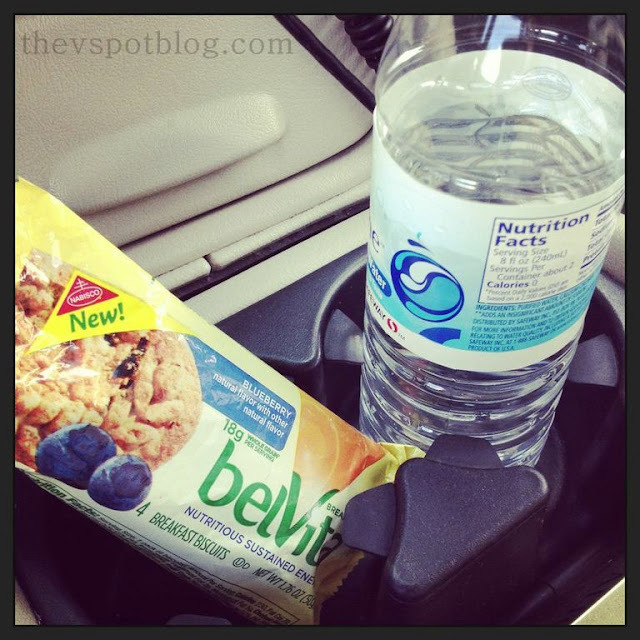 What do you do for breakfast on the go? Have you tried these yummy items? What did you think? By the way, it’s National Breakfast Week. Go check out some ideas. You can see more of my shopping trip here. I am a member of the Collective Bias® Social Fabric® Community. This content has been compensated as part of a social shopper insights study for Collective Bias® and Safeway #cbias #SocialFabric All opinions are my own. I have not tried them. 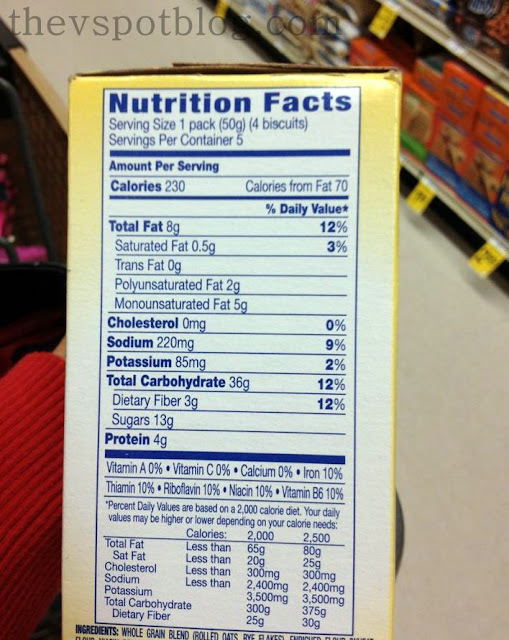 I have seen them at the store and wondered if they were any good…I did notice they are pretty high in the carbs though. So I will pass on getting them. I do a Lo Carb yogurt, put out by Kroger. Good stuff! I love that those breakfast biscuits don’t have high fructose corn syrup. That’s really important to me when it comes to snacks for the kids.